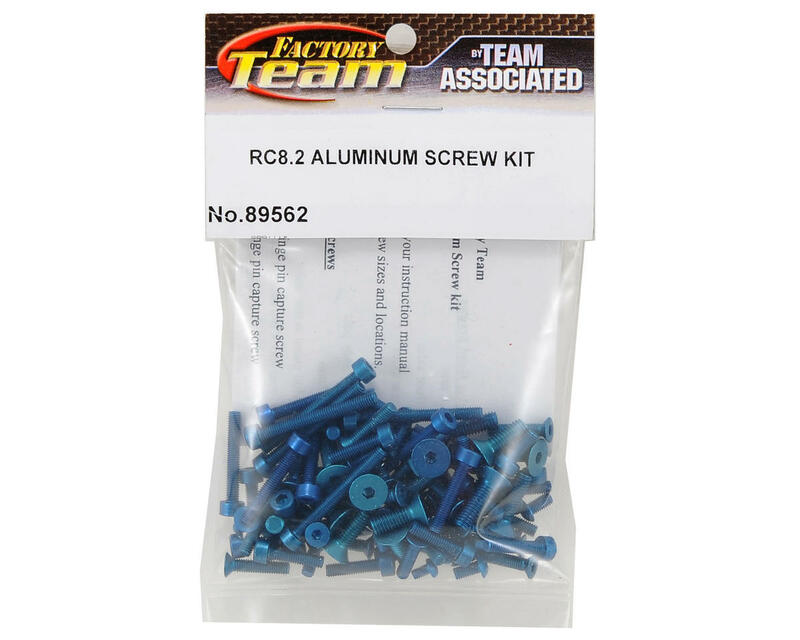 This is an optional Team Associated Factory Team Aluminum RC8.2 Screw Set. 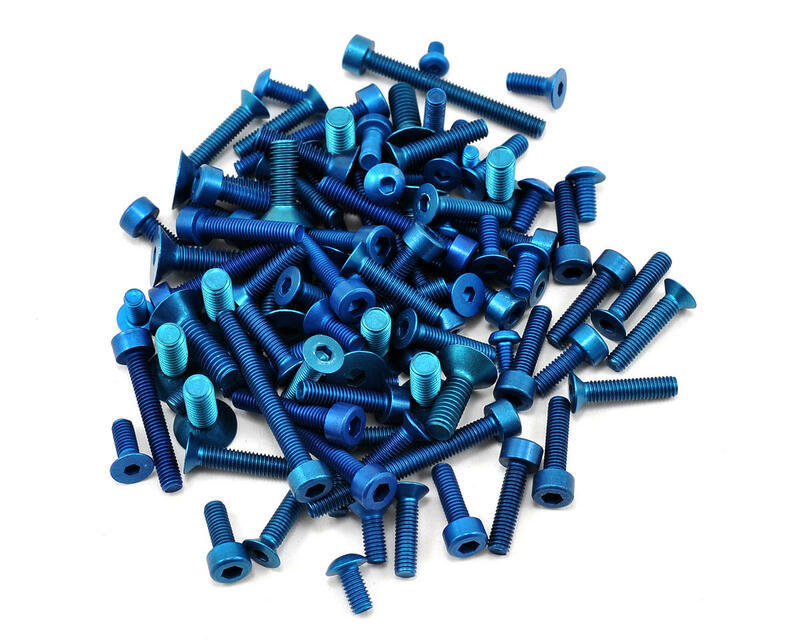 These screws provide an awesome Factory Team look, while at the same time helping to reduce the overall weight of the vehicle. Package includes 98 screws and installation instructions. Associated strongly state that aluminum screws only be used in non critical areas. Put them somewhere there is a lot of load, or weight on them and they will break. They're mainly for looks, with a *tiny* bit of weight saving, here and there.